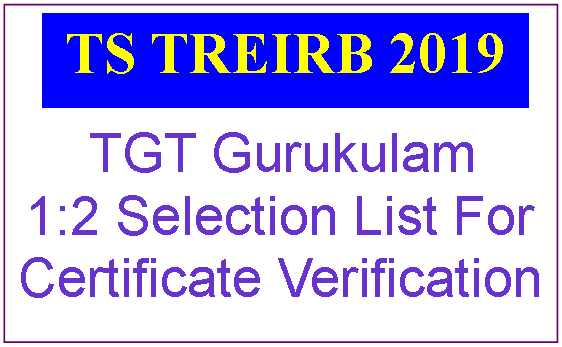 TREIRB Released Schedule For Certificate Verification and 1:2 Selection List 2019 Download of TGT (Post Graduate Teachers) In Gurukulam. 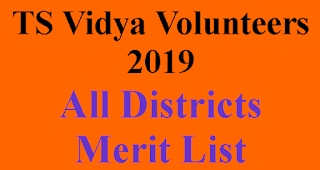 Certificate Verification will be held from 18-02-2019 to 26-02-2019.Candidates can check details on their official site. And also Given Attestation Form and check list for Certificate verification. TGT 1:2 provisional selection list also available on their official site from week prior to certificate verification dates. 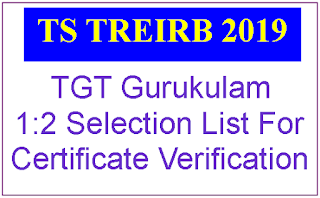 Download TREIRB Residential TGT(Trained Graduate Teacher) ) Certificate Verification Schedule And 1:2 Selection List From Below Links. Provisional dates for Original Certificate Verification of applicants in the Ratio of 1:2 for PGT Posts under Notification No. 01/2018.. List of PGT Telugu Candidates Picked up for Certificate Verification with Date. Provisional Dates for Original Certificate Verification for Telugu. 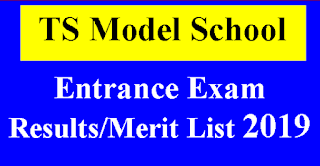 List of PGT Mathematics Candidates Picked up for Certificate Verification with Date. Provisional Dates for Original Certificate Verification for Mathematics. List of PGT Social Studies Candidates Picked up for Certificate Verification with Date. Provisional Dates for Original Certificate Verification for Social Studies. List of PGT Physical Science Candidates Picked up for Certificate Verification with Date. List of PGT Biological Science Candidates Picked up for Certificate Verification with Date. Provisional Dates for Original Certificate Verification for Biological & Physical Science. List of PGT English Candidates Picked up for Certificate Verification with Date. List of PGT URDU Candidates Picked up for Certificate Verification with Date. Provisional Dates for Original Certificate Verification for URDU & English.